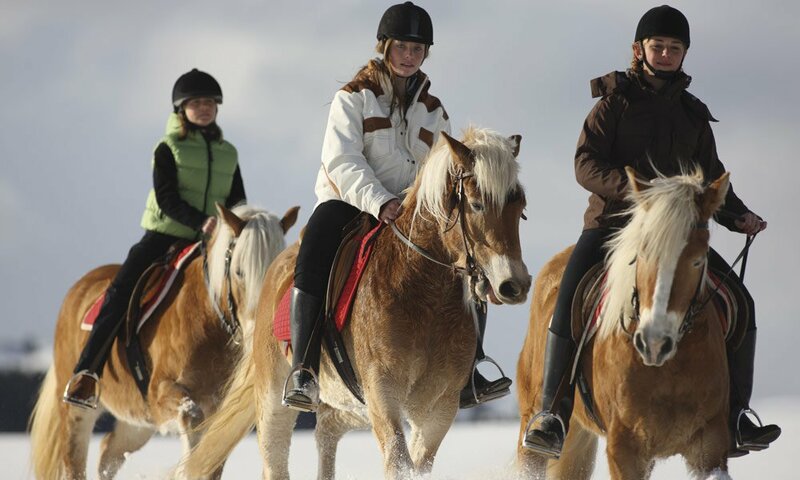 Riding in winter: Let’s go riding on our fleet of Icelandics! The rider’s eyes look happily over succulent meadows to grapes and the shimmering summits of the surrounding mountains in the warmer months. And when the snow has fallen and the ice crystals glitter in the branches? Then all the more! The robust Icelandic horses that are part of the stables joined to your hotel love the rawness of frosty days, and are in their element on frosty days. They are made to ride in winter. 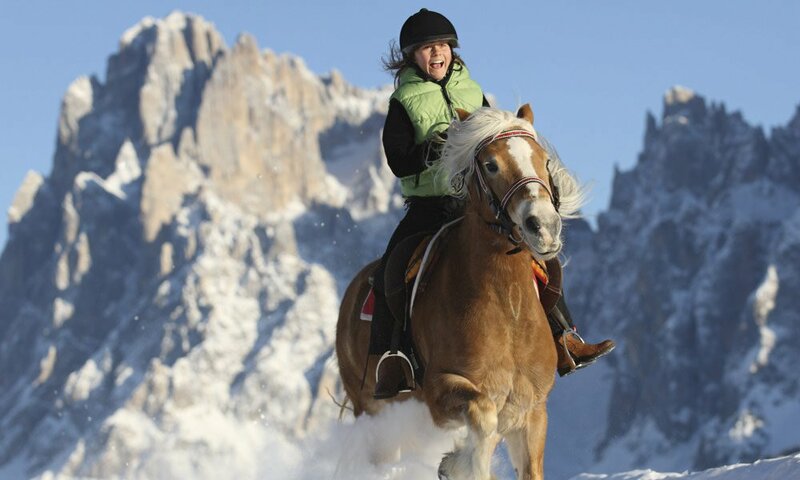 And when you are up there in the saddle, wrapped up warm, this heavenly winter will be a gift you will never forget. Icelandics are the Vikings of horses. The harshness of a North Atlantic island and 1,000 years of cultivation have bred a horse that can tolerate cold, wind and other inclement conditions and still move powerfully and with great sense. Riding in winter is a pleasure at least as great for the Icelandics as it is for you. Run your hand through the thick, long coat of our Icelandics and along the curvaceous legs, which are their typical features. These small horses are used to far more where they come from, meaning you can have all the more fun with them in and around Terenten. Ask about special offers for riding in winter. Through close cooperation between the hotel and the riding stables, we can offer you surprisingly good rates. As an experienced rider, you can discover the Pustertal on extended rides, churn up the snowflakes and experience the Icelandics as they whip their manes and get underway. If you have never sat in the saddle before, here is your ideal chance to have some lessons and guided hacks.